Russia's meteorological service said on Tuesday it had measured pollution of a radioactive isotope at nearly 1,000 times normal levels in the Ural mountains, the first official Russian data supporting reports that a nuclear incident had taken place. At the Agrayash weather station, the levels were 986 times those of the previous month, while at the Novogorny station they were 440 times higher. 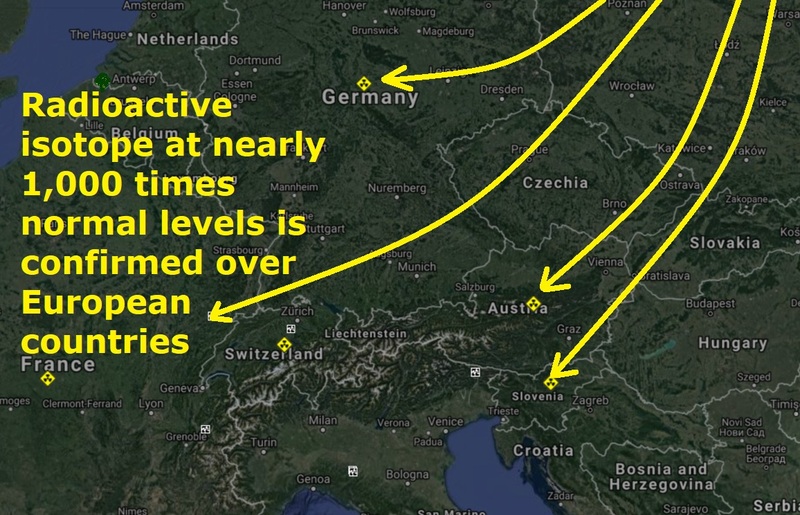 The weather service did not rule out that the radioactive isotope could be absorbed into the atmosphere and reach Europe. "Ruthenium is very rare and hence its presence may suggest that an event of some nature has occurred. That being said, the natural abundance is so low that even a factor of 900 upon natural levels is still very low," said Malcolm Sperrin, director of the Department of Medical Physics and Clinical Engineering at Oxford University Hospitals in England. Andrey Vazhenin, the main oncology specialist of the Chelyabinsk region where the two weather stations are located, was quoted by Interfax news agency as saying people had nothing no worry about. Those concerned should instead "watch football and drink beer". Still, some researchers called for a more complete investigation. Bruno Chareyron, head of independent French nuclear laboratory CRIIRAD, called on the Vienna-based International Atomic Energy Agency to order an inspection and impose protective measures. "It is deplorable that 31 years after Chernobyl we again remain completely in the dark about what has happened," Chareyron said. The Agrayash weather station is located about 30 km (20 miles) from Mayak, a huge plant that reprocesses nuclear fuel and produces radioactive material for industrial and research purposes, owned by Russian state nuclear company Rosatom. Mayak accounts for half of Russian exports of radioactive isotopes. In a statement, Mayak denied that its plant was the source of increased level of ruthenium 106. Rosatom said there were no accidents at any of its facilities which could increase the level of ruthenium 106 in the atmosphere. Greenpeace said in a statement on Tuesday that it would ask Russia's prosecutors' office to investigate whether there had been an accident in the area. "It also demands a check into whether the atmospheric radionuclide monitoring system is sufficiently prepared for possible accidents, and whether public health around a possible release of Ruthenium 106 was sufficiently protected," the environmental pressure group said in a statement.